YOu are planning a perfect proposal and you have a secret photographer, so you want to look stunning on the pictures. But how to make your girlfriend, who has no idea what a surprise you planning, to wear that georgeous dress that you like? Here are some real tips from our couples, who succeeded in this mission. Jeff and Rachel. 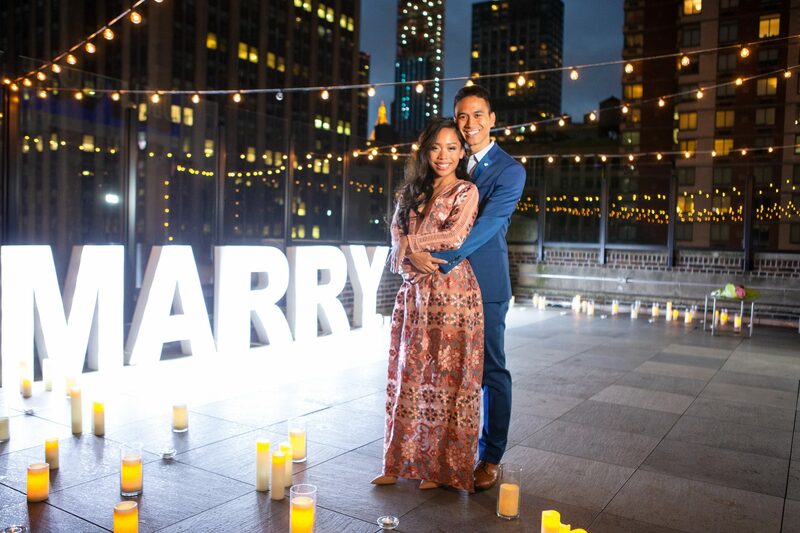 Jeff had this idea of the perfect engagement and he knew that his girlfriend would love to be surprised, but also she want to look great on the pictures. So he actually bought her a dress and perfect shoes matching the dress. He set up a changing room with candles and flowers, so the perfect mood and perfect outfit was guaranteed. Great idea, perfect for chic couples. Use the opportunity. 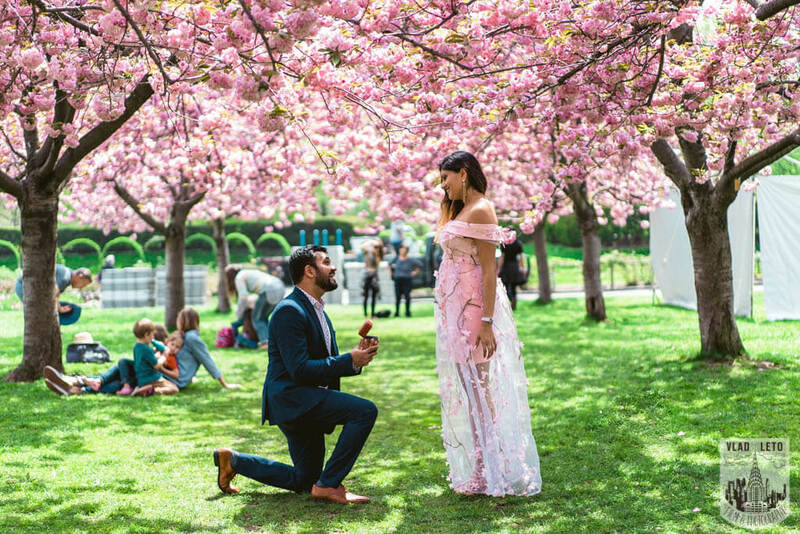 Rashan knew that his girlfriend taking cherry blossom frstival seriously, as she was talking about it weels in advance and get a special dress for this ocasion. What a great opportunity for a surprise proposal. She is planning her day and doesnt suspect that you have your agenda on that day. Beautiful dress and pictures to remember forever. If your parner taking some events seriously, use that opportunity as its a perfect cover for your proposal. Marcus told his girlfriend, that they are going to a new fancy restaurant. So the couple got dressed up accordingly. 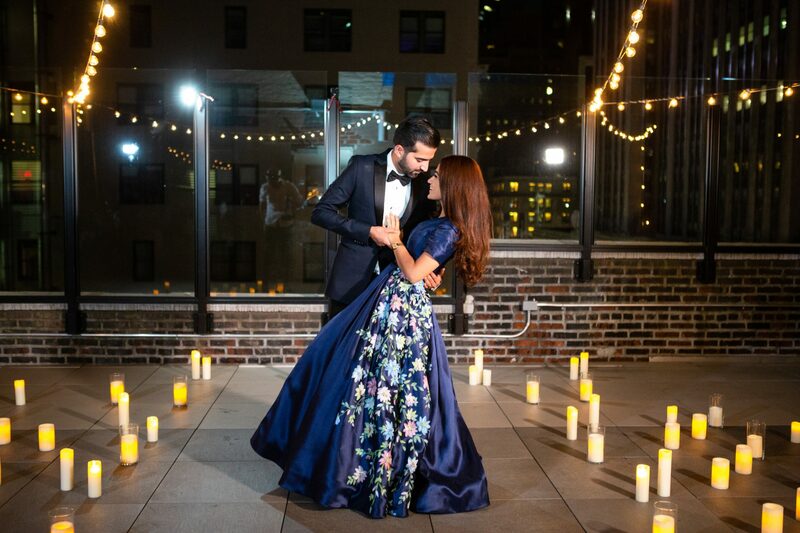 Imagine her surprise, when the host bring her to a private terrace with candles and secret photographer taking picturrs. She did not expect it at all. Our couples use this cover a lot. The key point here, to make her believe that its something very chic and not known yet. Alessandro was going to New York on a business trip. So when he told his girlfriend, that they will have a business meeting with the partner, she paid no attention to it. 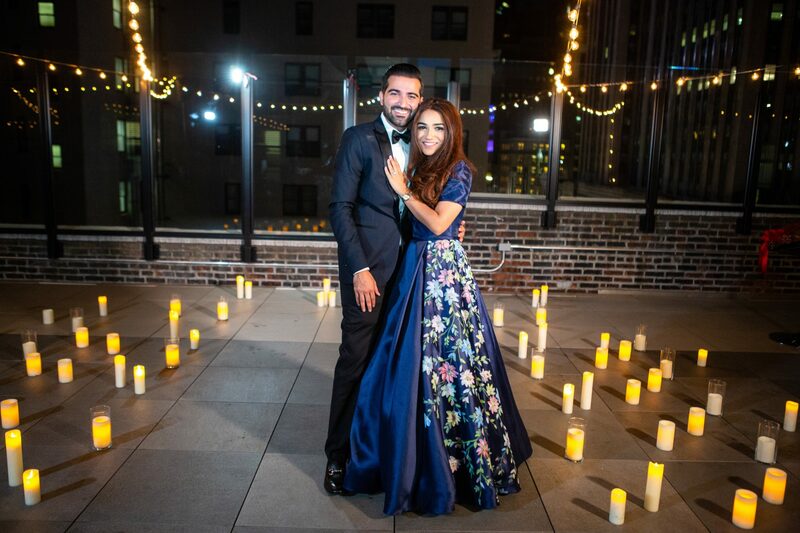 The couple arrived earlier and hostess suggested to wait on the terrace. 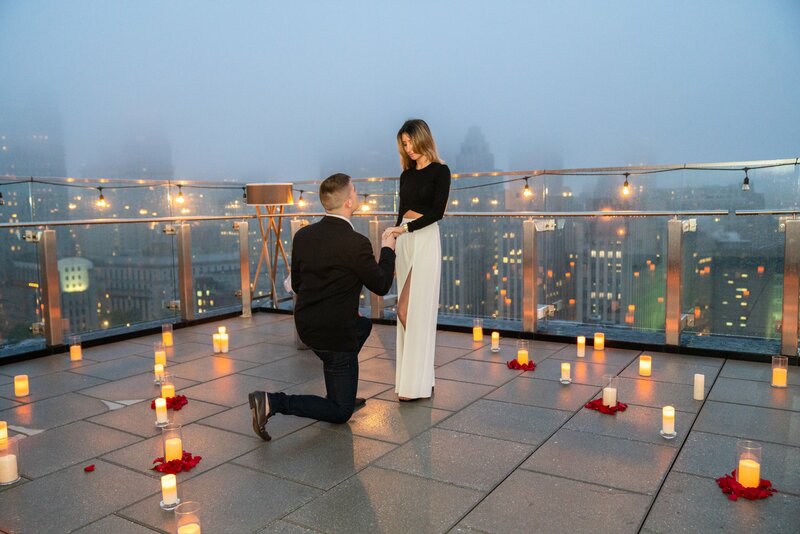 Imagin her surprise, when she sees candles and her boyfriend on one knee asking for her hand. Very well planned proposal. If you going to New York on a business trip, that should be your cover. It sounds very natural and normal, and she would never suspect anything. Oh yes, the good old ” birthday party, corporate event” surprise cover. Work perfectly every time. Igor told his girlfriend that they are doing a farewell party on a rooftop for a coworker and that his boss will be there, so they have to come and have to dress up. Very well played and voila, its actually an engagement. Natalia was so happy she looked like a princess and was very pleased to get the pictures. If you want your partner to look like a real life princess you need to come up with a perfect cover. 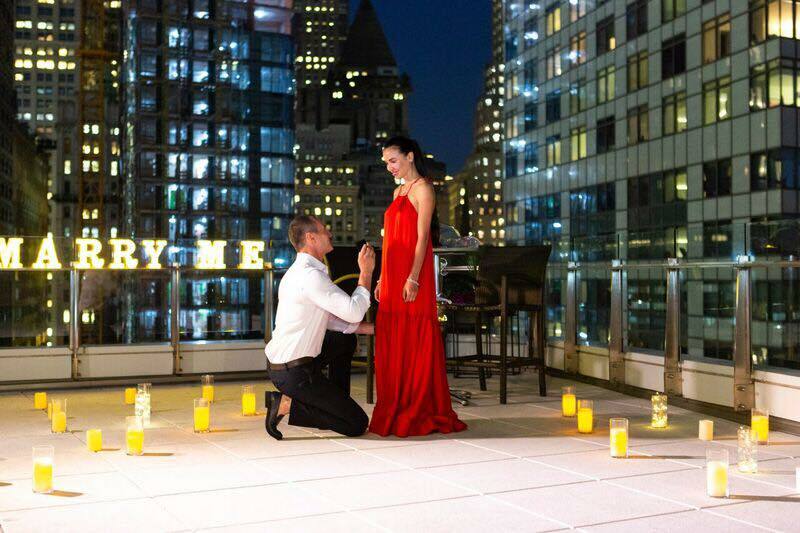 For this proposal our client told his girlfriend that they were going to a Gala event. We actually made fake tickets and signs, so that everything looked belivable. You cant imagine her happiness, when she realized that its her proposal and she looked stunning. 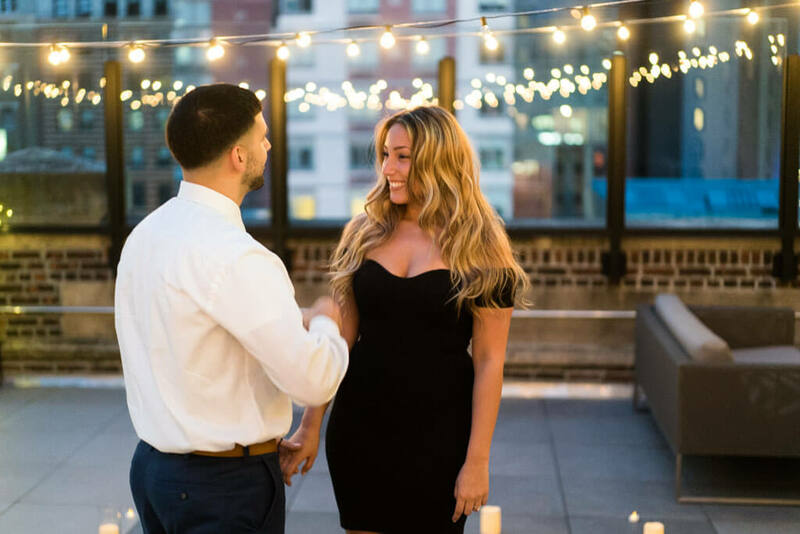 If you are planning a marriage proposal but dont know where to start or got lost in the ideas, contact us at head@proposal007.com and we will help you to create the unforgetable proposal.